Magnificent opportunity to own a truly luxurious home, nestled within the exclusive enclave of the gated Cathedral Rock Ranch. This elegant southwestern beauty is surrounded by panoramic views of the iconic Red Rocks. These stunning vistas can be enjoyed from your expansive great room, den/office, amazing master bedroom suite. The home has 2 en-suite guest rooms, plus a fourth bedroom or exercise/hobby room. Entertain from your huge 34 x 22 foot covered patio, then go for a hike directly into the Coconino National Forest. 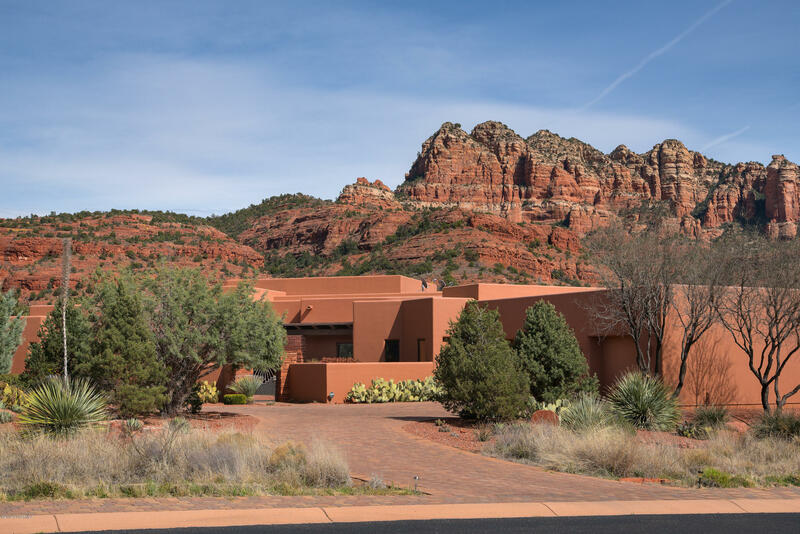 You could not duplicate this environment by building a new luxury home, as the current average asking price of a Cathedral Ranch Lot adjacent to the National Forest, is now $478,000, and Sedona's custom home building costs have risen to ''over'' $400 per square foot.